But the sheer scale of the problem since the Arab uprisings is unprecedented, according to CPJ data. Of the 227 journalists killed globally since 2011, one-third died covering Syria. “To hold a pen is to be at war” Voltaire. More than in any other war in recent history, a highly-funded, well-coordinated propaganda campaign has fueled the aggressive interventionist invasion in Syria. Mainstream media has led entire populations of people, especially in the West into supporting a foreign created and imported war on a sovereign nation, that prior to this invasion did not have any of the issues that exist today. War propaganda has lead to hundreds of thousands of deaths in Syria, and millions of refugees, and billions in losses due to infrastructure being destroyed. The fact that well-meaning people will support such a devious, deadly, unrighteous, harmful and illegal war without even questioning the motives behind, the key players, the amount of suffering and damage it has caused is both disheartening and outrageous. It has also lead to a significant number of journalists being kidnapped and killed while reporting on the ground. As a result, many fake activists have taken over social media and mainstream media. They have risen to fame under the guise of being truthful citizen reporters who just want the world to see the misery that the “regime” is putting them through. They are in fact paid mouthpieces for the opposition and armed terrorist groups. They have strong connections with Anti-Assad media and are the darlings of mainstream media news such as CNN, BBC, and AlJazeera. They are eager to have them on, give them airtime to spew their scripted narratives and convince a slew of people that the Syrian Army, Russian Army, and the Syrian government are committing atrocities against civilians. Of course, these media outlets take everything they say as the whole truth and nothing but the truth, so help them, God. They do not question nor do they debate. They will, however, push a story and make it into a headline and that is how propaganda is bought and sold to the masses. However, they will not afford that same attention, time, or respect for independent journalists that do not follow the demonization script. They will altogether ignore them and pretend like they do not exist. It’s really quite cynical. This article will armor the everyday civilian with enough information to thoroughly convince any critical thinker of the truth. This serves two purposes, first, the reader is exposed to information from different sources that corroborate the same story and prove that the official narrative is nothing but a lie. Secondly, once they have fully understood and absorbed the information it is their duty to educate others. This ripple effect is critical if we are going to make any progress towards ending these bankers wars. This global war that is being waged on peaceful nations through staged uprisings and Soros funded Color revolutions needs to be stopped. Some may not realize the negative effect that these wars will have on humanity as a whole. That’s why it’s imperative that We take whatever action necessary to get people out of this submissive trance that they are under, and free them from the chains of their own cognitive dissonance, which they have been placed under by the government, educational system, marketing, media etc. for far too long. “Once you are kidnapped in Syria it’s a completely black hole you’re never going to come out of,” Nicole Tung, a freelance photographer who worked with James Foley, said. “The freelancers I am concerned about are the freelancers who are really out there and off the grid… who have a string of people they work for, you know, but aren’t in constant contact with their editors, aren’t getting backing, have to buy their own flak jackets, have to rent their own satellite phone, don’t have anyone looking after them,” she said. This is done in an effort to silence the truth. The most dangerous weapon against a mass media campaign is the truth. The same applies to humanitarian Non-Government Organizations. Neither the United Nations nor the Red Cross or any other neutral NGO had staff in east-Aleppo. Only the MI-6 propaganda outlet SOHR in Coventry provides numbers allegedly sourced from Syria. Only (U.S. trained) “media activists” on the Takfiri side report or tweet from inside east-Aleppo. Only these get interviewed. Only the U.S./UK created and directed “White Helmets” and the French government sponsored Takfiri “Aleppo Media Channel” produce pictures and videos from inside east-Aleppo. As this was the only available information source and sole available audio-visual material it was heavily used by news outlets around the world. It reflected solely the armed oppositions and its sponsors’ views and warfare needs. 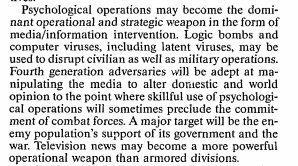 If one intends to give a maximum effect to the propaganda output of one’s proxies in an Information Warfare operation, it makes great sense to eliminate all other potential sources of information from the wider warzone. Thus – the abduction and killing of neutral professional journalists is a conscious process that enables their replacement with one’s own Information Warfare assets. I believe we have seen such a process in Syria. 48 journalists killed in 2016; Camera operator and photographer dangerous jobs: CPJ report The Committee to Protect Journalists said at least 48 journalists were killed in 2016. CPJ is also investigating the death of 27 journalists to determine whether they were work-related. The deadliest countries for journalists were, in order, Syria, Afghanistan, Mexico, Iraq and Yemen. “More than half of the journalists killed in the year died in combat or crossfire, for the first time since CPJ began keeping records. The conflicts in Syria, Iraq, Yemen, Libya, Afghanistan, and Somalia claimed the lives of 26 journalists who died covering the fighting,” the New York-based group said. This year, 18 journalists were targeted directly for murder, the lowest number since 2002. “The reason for the decline is unclear, and could be a combination of factors including less risk-taking by the media, more efforts to bring global attention to the challenge of combating impunity, and the use of other means to silence critical journalists,” the report said. According to the report, photographer and camera operator were the most dangerous media jobs in 2016. 20 of journalists killed in 2016 were freelancers. 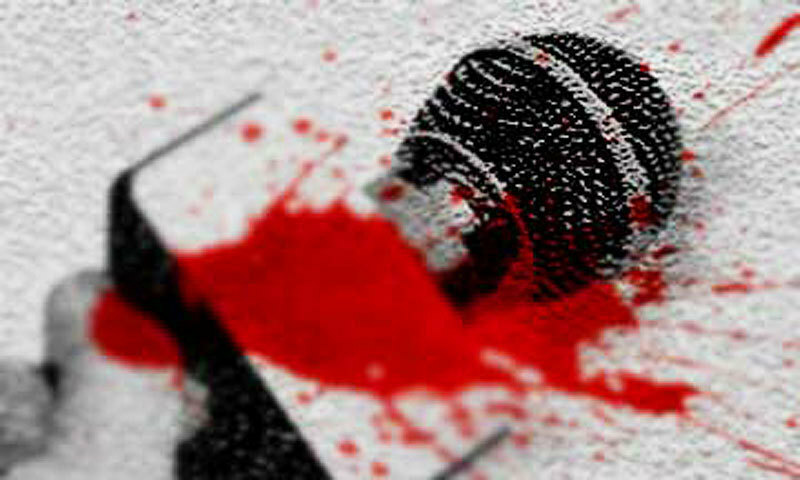 75 percent of journalists killed in this year were war reporters. Journalists who risked their lives in the conflict were also kidnapped and executed by Islamic State and other militant groups. 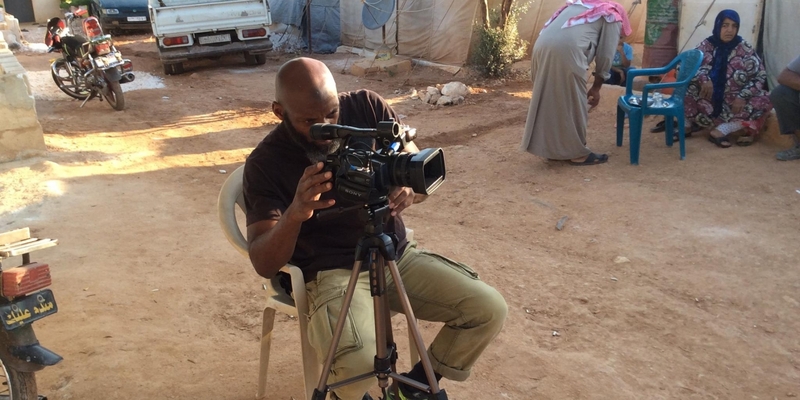 “Islamic State is responsible for the disappearance of at least 11 journalists since 2013. They are feared dead, but do not appear in CPJ’s data on killed journalists because their fate cannot be confirmed,” the report added. “CNN has had a difficult few weeks, with scandals ranging from false reporting in order to boost ratings to blackmailing a private citizen who created a meme lampooning the network. As a result, CNN has seen a massive drop in its prime-time ratings, suggesting that its viewership is shrinking amid the controversy. In a previous article, I wrote about the “Aleppocaust” that took place on social media while Aleppo was being liberated by the Syrian Arab Army and their allies. The exact opposite of what was actually happening was what was being reported by Fake Activists and Fake Journalists. It was quite a sight. People changed their profile pictures to Aleppo is Burning! Pray for Aleppo! An entire media campaign was created to distort information for that particular occasion. What many of us were showing were celebrations in the streets and people cheering and thanking the Syrian Arab Army. Actual footage including videos and pictures that proved in fact that this was a joyous celebration and should be portrayed as such. Instead, the media was inciting fear, sadness, and whatever else it could do to purposely impede the progress being made by the army in freeing civilians who had been brutalized while under the rule of terrorist factions. In conclusion, there are two sides to every story, and you’re quite frankly only being told one side of it on mainstream media. The information included in the coverage of most news agencies is carefully chosen to fit the warmongering US/NATO’s “regime change” narrative. The above information included in this article, reveals the other side, the less-known often hidden truths behind the headlines. With a little rational thinking, questioning, discussing, and researching, one can find these buried little nuggets of truth. It’s our responsibility as one human race to end the tyrant Western war-propagating fact deprived media’s reign. If we are at all concerned with the world we are leaving for generations to come. Prof. Anders Romelsjö [Swedish]: Utrikesminister Wallström twittrar ”Honoured to meet Raed Saleh of The White Helmets” – al-Qaida’s friend. Also, image 1 found in Prof. Romelsjö publication. Birthed the Fake Activist movement During the War – The Rabbit Hole <Liked it! Hi there,I check your new stuff named “Create a website or blog at WordPress.com” on a regular basis.Your humoristic style is awesome, keep doing what you’re doing! And you can look our website about proxy free list.